Seamless images are great, until you scale them up 5 times and you can see the repeating pattern. 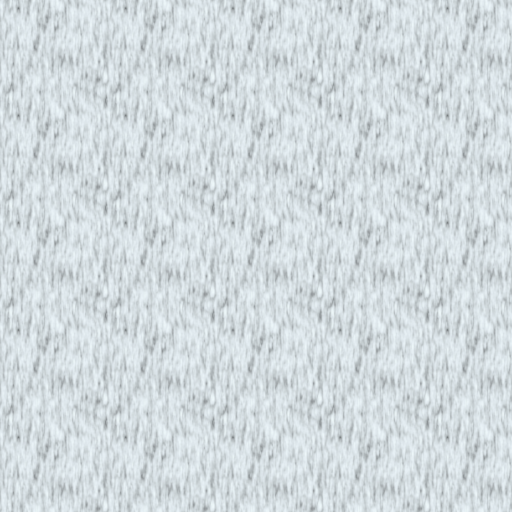 All seamless textures have this flaw. Anti-tile is a one-click addon for instantly removing tiling from an image! Want to change the image? Simply remove Anti-tile, change the image as desired and then reapply! 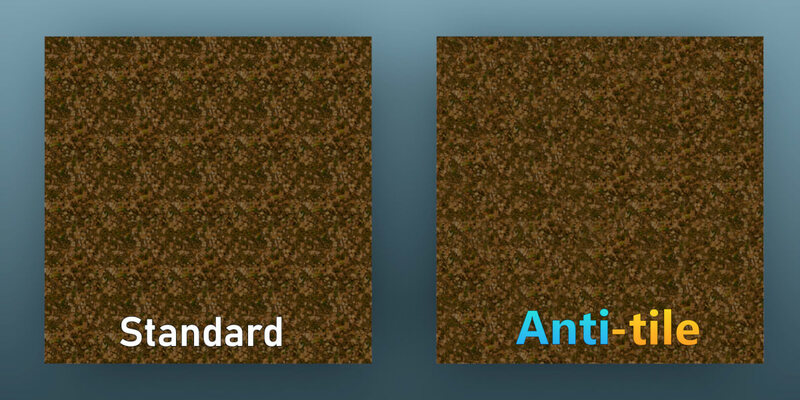 Add anti-tile to multiple images and maintain mapping across all of them in 1 click, PBR anti-tiling has never been easier. -Shift: Displace the procedural blending until it looks best. Anti-tile uses per object random and advanced procedural blending to give you perfect results every-time. Worried about normal maps not lining up with diffuse maps? Anti-tile, provides a same object, same mapping policy. Same random + same shift = same mapping. 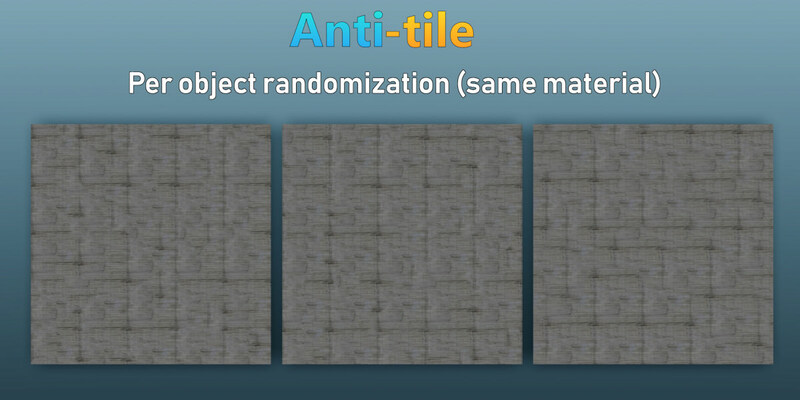 Anti-tile automatically applies randomized mapping for each object, even with the same material. Anti-tile can now be applied inside node groups regardless of depth (node group inside nodegroup). 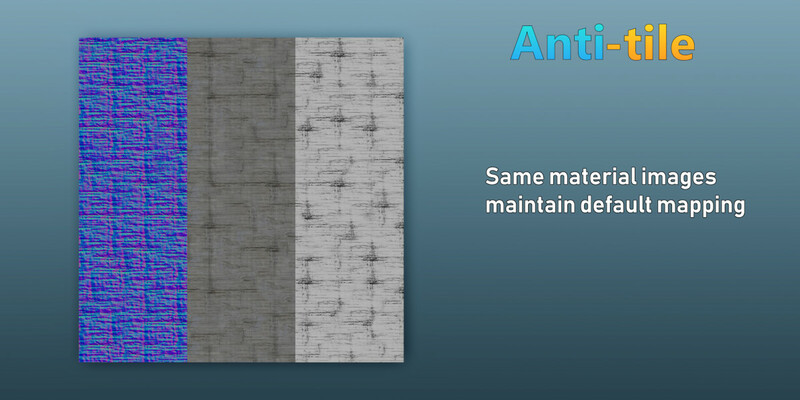 Major bug fix, duplicated anti-tile materials can now be removed without unlinking node group from other materials. 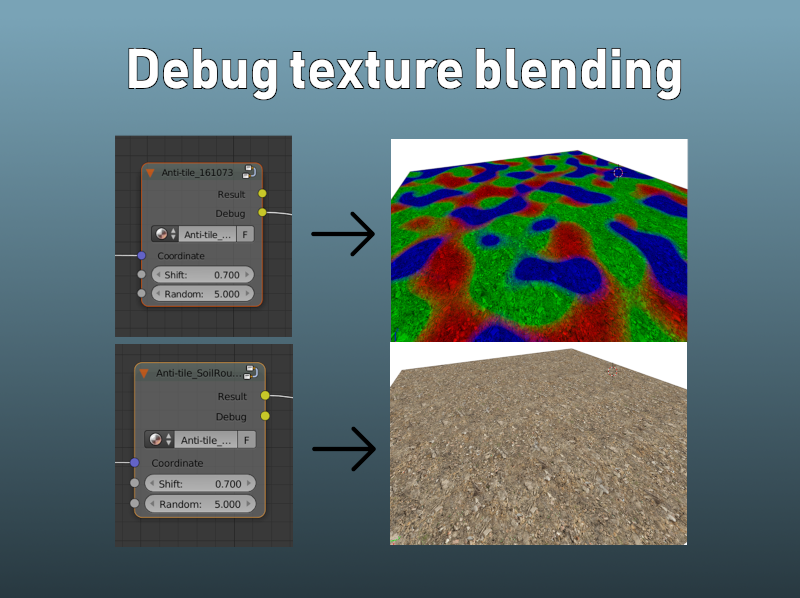 - Texture blending debug output: Determine exactly how triple layer texture blending works on your object! No more guessing! 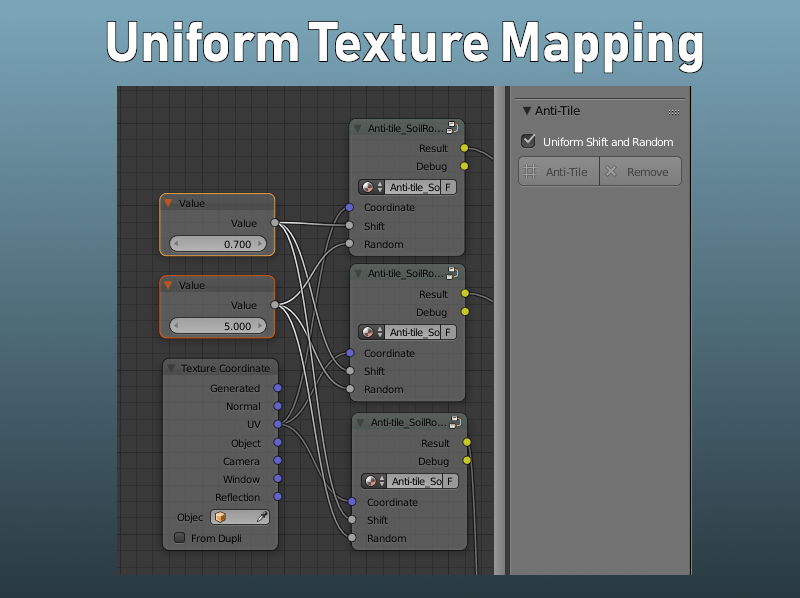 - Uniform texture mapping: Set the same mapping for multiple images on the same material, update only 1 field to set all of them! v1.1: Added multiple image selection support. Simply select 1 or more images and convert them all at once. Same applies for removing anti-tiling! Is it possible to export Anti-Tile Textures? Yes! You can bake the texture channel of an object to an image and then save the image. However this output is not seamless, it is a static image (Blender just bakes what is visible) so once you bake it, you cannot procedurally change the size anymore. Which render engines does Anti-tile support? Anti-tile works with any engine that uses cycles nodes for materials. 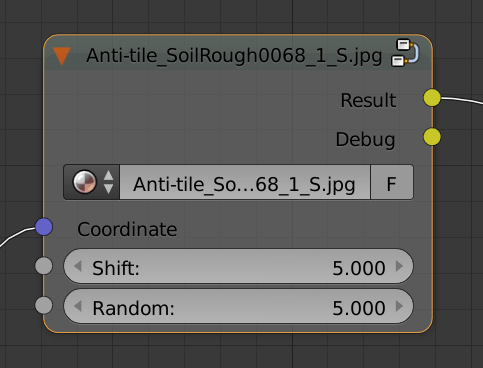 The Anti-tile script to create Anti-tile textures is only guaranteed to work within blender. Therefore if you wish to use it in other engines you will need to apply Anti-tile in blender and then export out the material. Why can't I see the results in textured view? Since Anti-tile makes use of procedural noise and complex mapping, the final result can only be seen in rendered view. Textured view will still display regular tiling. Useful in archiviz. 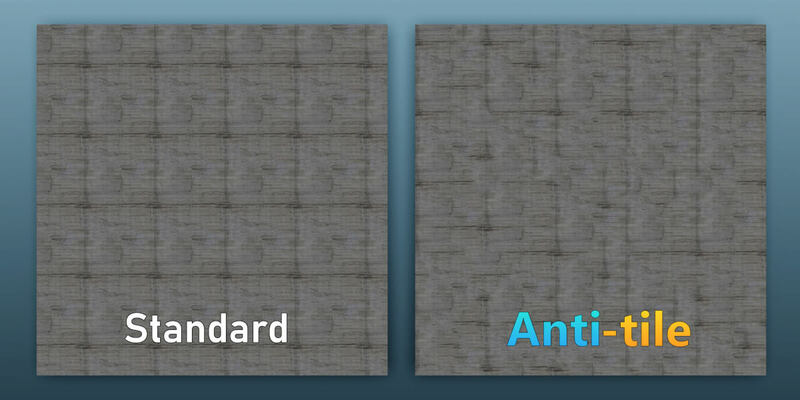 Very straightforward to use: only 2 options to create anti-tile textures. Works well. Very easy to use.